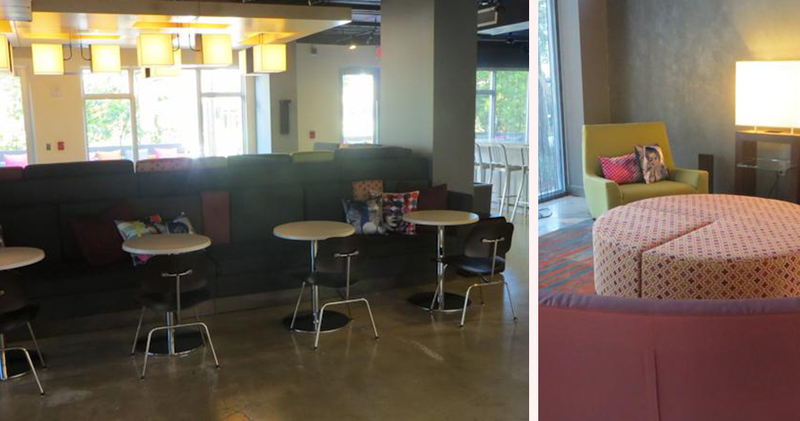 Aloft Miami Brickell is a fun, fresh hotel with a lively social scene and urban decor. 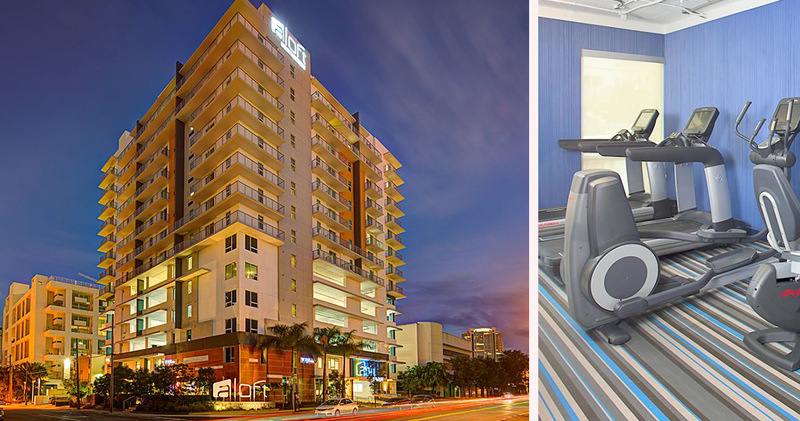 Located in Miami’s financial district, Aloft Miami Brickell is just steps from the Bayside and Miami Beach. The hotel has a fun and trendy atmosphere in which guests can relax and socialize. The interior is hip and colorful, with comfortable furniture and open, airy spaces. This is a pet-friendly hotel that offers complimentary pet beds, treats and bowls. 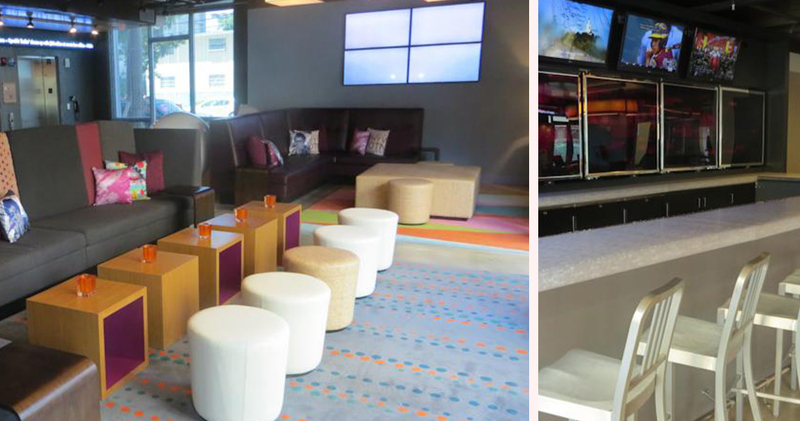 Also at Hotel Aloft Miami Brickell is the Re:mix Lounge. 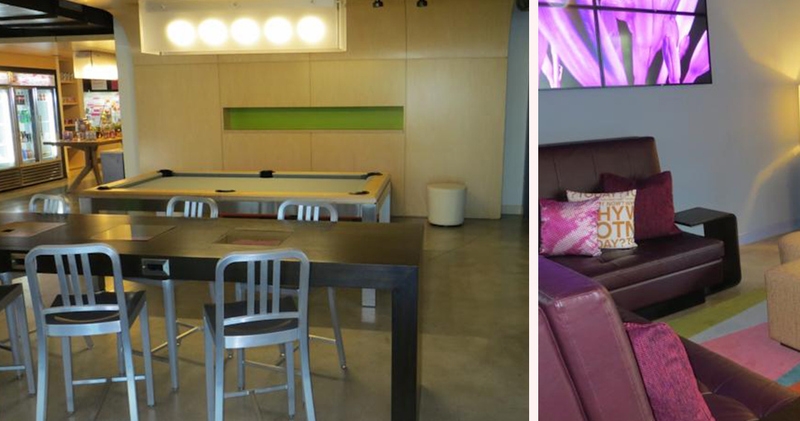 Situated off the lobby, this is the perfect place to play pool, check emails and socialize with other guests. The backyard features a splash pool with comfortable lounges for guests to unwind and enjoy some sunshine. 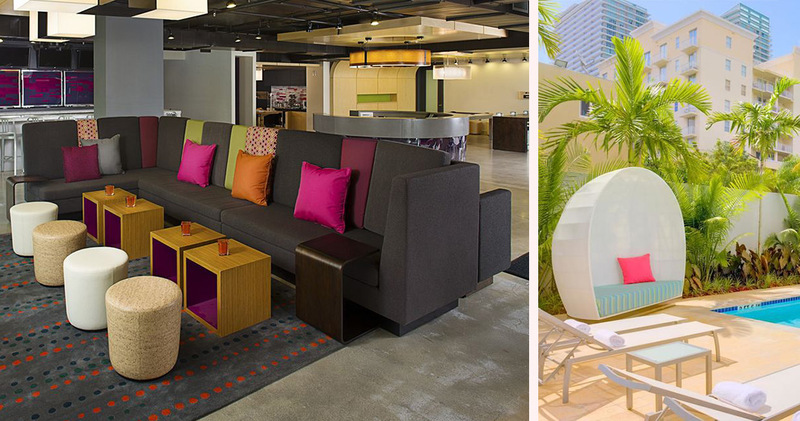 The guestrooms at Aloft Miami Brickell feature an open layout and loft style decor. With nine-foot ceilings and large windows, the rooms are bright, airy and inviting. The decor features dark flooring, hardwood finishes and bright accents that create a fun, trendy look. 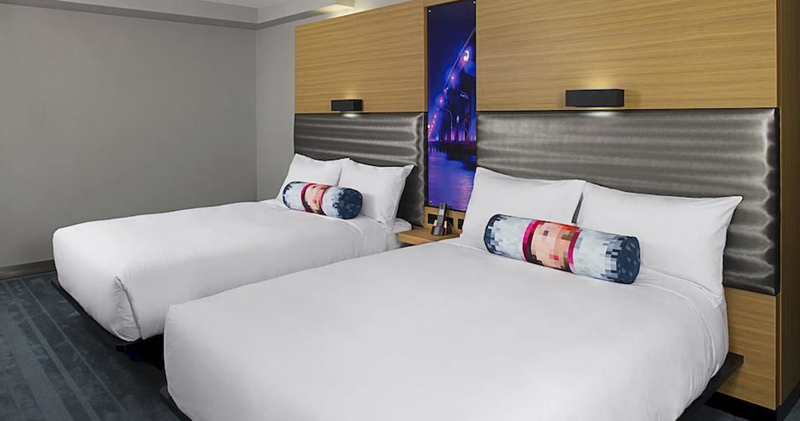 Each guestroom features the hotel’s King Signature Platform Bed, along with a large workspace, ergonomic chair and ample closet space. 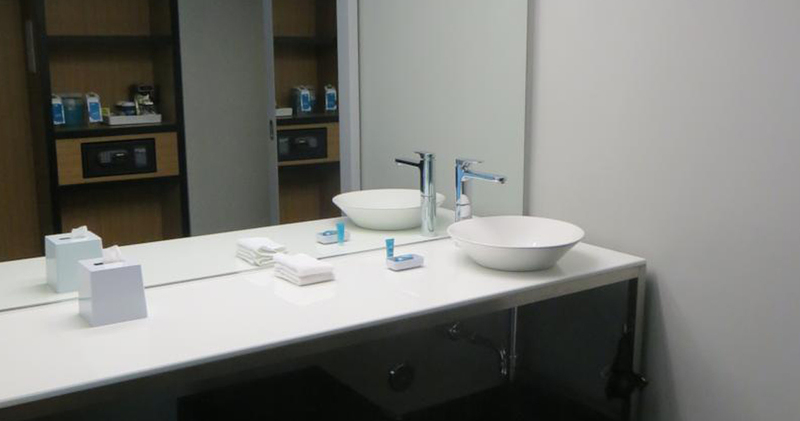 The bathrooms at Hotel Aloft Miami Brickell are contemporary and spacious, with soothing colors, an oversized rain shower and Bliss Spa products. 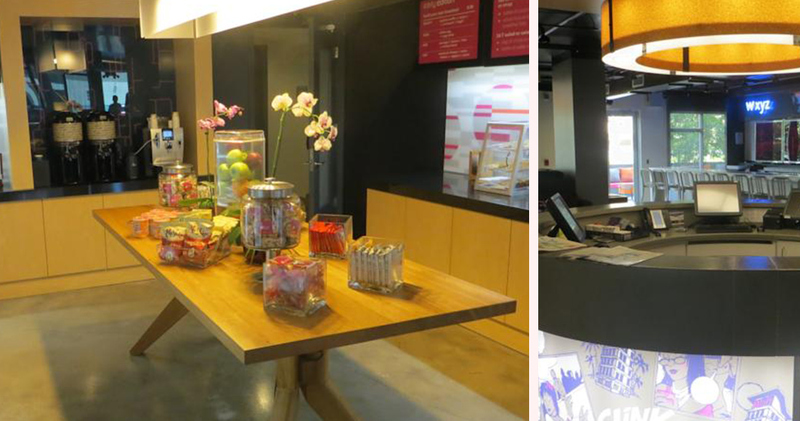 Re:fuel by Aloft Miami Brickell is a gourmet, 24/7 snack station located in the hotel’s lobby. Here, guests can enjoy complimentary tea and coffee and grab healthy snacks on the go. 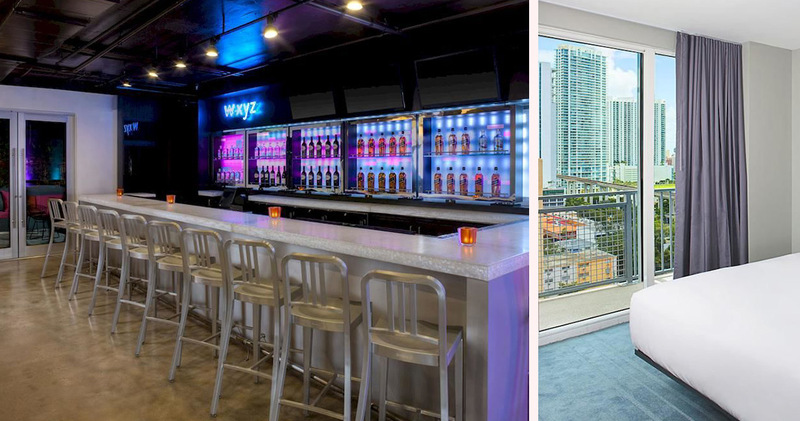 The hotel is also home to The W XYZ Bar. Featuring modern lounge decor and patio seating, the bar serves beers, pinot noirs and seasonal cocktails. Downtown Miami is an exciting collection of sleek skyscrapers, coastal markets, outdoor areas and cultural attractions. The city center is known for its large event venues, high quality museums, hip bars, restaurants and trendy boutiques. Visitors will find plenty of great places to shop in Miami Downtown at places like Macy's, the Bayside Marketplace and Seybold Building - home to over 280 jewelry stores. Restaurants and bars like The Corner, Area 31 and Toro Toro provide visitors plenty of good dining options. Miami Downtown is also home to a number of excellent attractions, museums and galleries like the Miami-Dade Cultural Center, HistoryMiami and the Perez Art Museum.